Magic!!! How a ring became a pumpkin! Suspend all scientific reasoning and simply see how beautiful each moment is. Unwittingly, my friend has stumbled upon the biggest secret about Life. That it has no logic! To me, Life’s full of magic though!! While our logical temperament has been honed by years of education and social conditioning and while it has helped us grow our careers, it has really stunted our evolution as individuals. Consider your own Life. You too, like me, like my friend there, have problems. And, logically, you want those problems resolved. So if the problem is financial, you may want your income to go up and your expenses to come down. Logical thinking. But what do you do when your efforts at boosting your income come to a naught? You get depressed. Depression leads to scarcity and negative thinking. If your problem is a relationship, you will want to sit down and resolve it. But the other party is just not interested. You grieve. You suffer. If your problem is your health, logically, medication should work. But the doctors are wringing their hands in despair, because they say their efforts are not working. You start believing it’s all over. In all this logical thinking, in all three contexts, you are tormented, you are anxious and you are not present in your every waking moment. You are living in your problems. And this is where you are missing the magic of the present. Of the myriad opportunities that Life is still offering you. Remember that despite all the problems you are faced with and are seemingly drowning in, Life is flowing, unraveling itself. Magically. There’s magic everywhere. In the rising sun. In the chirping birds. In the smile of a child. In the few friends who are still standing by you. In the fact that you have a home, food to eat and someone to call family. When you are allowing yourself to be gripped in the stranglehold of your problems, you are missing all this magic. I experienced this extraordinary part of my Life yesterday – one more time! Vaani and I were at a wedding last evening. As we awaited our turn to greet the young couple, we saw a picture from their engagement show up on the LCD display – they were exchanging rings. I remarked to Vaani that I had never given her a ring in all our Life together – not even at our wedding, 28 years ago! So I quipped that I would get her a cheap, plastic ring for Rs.10/- because that’s what we could afford now! (Read more on why we can’t afford anything better here: Fall Like A Rose Petal) Vaani smiled back at me and told me this with a straight face: “You know what, get me a pumpkin instead, I plan to make sambar tomorrow!” We both erupted laughing even as other guests looked on, amused. That moment, that was sheer magic! Such moments are waiting to happen to you too. But are you tuned in? You don’t have to do much. Simply, love the Life you have! Know that it won’t last forever. Abandon all logic. Then, and only then, will you see the magic – and beauty – in Life! Author AVIS ViswanathanPosted on December 19, 2016 December 19, 2016 Categories Celebrate Life, Life, Logic, Magic, Magic and Beauty of Life, UncategorizedTags Abundance, Abundance Thinking, Art of Living, AVIS Viswanathan, Depression, Fall Like A Rose Petal, Happiness, Inner Peace, Intelligent Living, Logic, Magic, Nora Roberts, Postpone Worrying, Scarcity Thinking, Vaani, Worry1 Comment on Magic!!! How a ring became a pumpkin! Happiness is a choice. Something that’s in your control. You choose to be happy, and immediately, your whole Life transforms. This is an unalterable law of Life. That if you choose to be the happiness you seek, nothing, and no one, can stop you from being happy. We miss this great opportunity because we are forever imposing conditions for “becoming” happy. We say if we have money, we will be happy. Or if people we live with behave in a certain way, we will be happy. Or that we will be happy when we achieve something – like when we buy a house, or get a raise or become famous. So, between us and happiness, certain conditions have come up. Now, these conditions are quite unnecessary. Happiness is there – in your being. You just have to choose it! The reason we think this way is because of the scientific conditioning we have received. This conditioning takes you away from you and thrives on the law of cause and effect. We have been taught that for an effect to be there, there must be a cause. Logical. Only if there is a seed, can there be a tree. Only if there is a fire, can there be light and heat. Only if there is a virus, can there be a fever. And so on. But on the spiritual plane, this need not be the only way to look at Life or live it. You can choose the effect and, magically, the cause will follow. And that’s why Life’s more about magic, than about logic. Magic happens the moment you choose to be happy – no matter what your situation is. Then, the right people come into your Life, abundance flows and you become a magnet, a center of attraction, for all the good things that Life can offer. Per this spiritual approach, you are in control, youare deciding to be happy, for yourself. For instance, if you say you will be happy subject to someone doing something for you, then that someone is in control. Not you. That’s the cause and effect theory: subject to certain conditions, you will be happy. But on the spiritual path, the choice is to drop all conditions and choose the effect – in this case, happiness. You simply be happy. Whether someone is there or not, whether something is there or not. The cause is beyond you, outside of you. 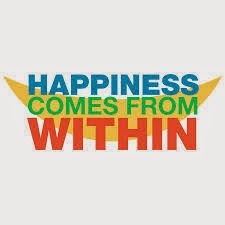 The effect, happiness, is within you. Choose the effect from within, watch the outside transform, magically! This is Life’s way. This is the only way – to live intelligently and in bliss! The very uncertainty that we fear can make Life magical and beautiful. When I reconnected with a friend recently, after several months, I asked him how his work was. He replied that he was feeling very insecure in his current job. “A new CEO has taken over and he’s driving a lot of change in our organization. He’s demanding that every member of the team must contribute to either the top-line or the bottom-line. I am in a Sales support function. The new CEO feels all Support functions must go. So, I believe I will be laid off. There’s so much uncertainty. I live and work in fear daily – not knowing when I will be given a pink slip and asked to leave,” said my friend. At close to 50 years of age, my friend feels his chances of getting another well-paying job are low. Around this time of their lives, employees, like my friend, have a lot of limitations in pursuing career options. Their children are often in final years of school or college, or their parents are old and need support – so not many are ready, even if they are willing, to immediately move to a new city to enhance their employment prospects! While I can relate to my friend’s anxiety – having gone through similar experiences myself – I am not quite sure that fearing uncertainty is necessarily the appropriate response. Why are we running scared of uncertainty when the very nature of Life is impermanent, fragile, uncertain? In fact, there’s a certainty about death – if you are alive, you will die for sure some day. But just because you are born – and alive – does not mean you will go on living. There’s no certainty about Life! From the time you came out of your mother’s womb your entire Life has been a journey through the uncertain. It’s your upbringing, your education and your reference to economic parameters that makes you believe that you are secure and can be certain about the way your Life will pan out. Because you have been raised in a protected environment by your parents and family, because you have been progressing through your academic career in a linear fashion – moving from class to class in a predictable manner – because you got employed soon after you graduated from college, for all these reasons and more, you have come to believe that Life’s happening the way you envisioned it for yourself. You have almost concluded that Life is a straight line! That’s when Life socks you with a pink slip or with a heart attack or a break-up or a death! That’s when you wake up, shocked and dazed, and begin to “fear an uncertain future”. When you live out of fear, resisting the uncertainty that surrounds you, you will not grow. You may grow older. But you will not grow up. Because fear debilitates. It limits. Every aspect of Life is uncertain, unsafe, dangerous – there are so many diseases you can contract and die or your house can be burgled and you can be murdered or you may meet with an accident on the road or your plane may crash mid-air or someone could hack your bank account and siphon off all your hard-earned money…Anything can happen if you actually consider what all can go wrong with your Life. But if you start letting the fear of uncertainty rule you, you can be sure to have ruined your Life. There’s hope though! You can let go of all your fear and embrace uncertainty. Since uncertainty is the essence of Life, when you embrace it, you are actually uniting with the Universal Energy. That Energy empowers you and gives you the true sense of security – which no insurance scheme, no amount of money and no amount of physical protection ever can. Then a pink slip will not torment you. Then not-knowing-what-will-happen will be part of the game, of the adventure called Life. 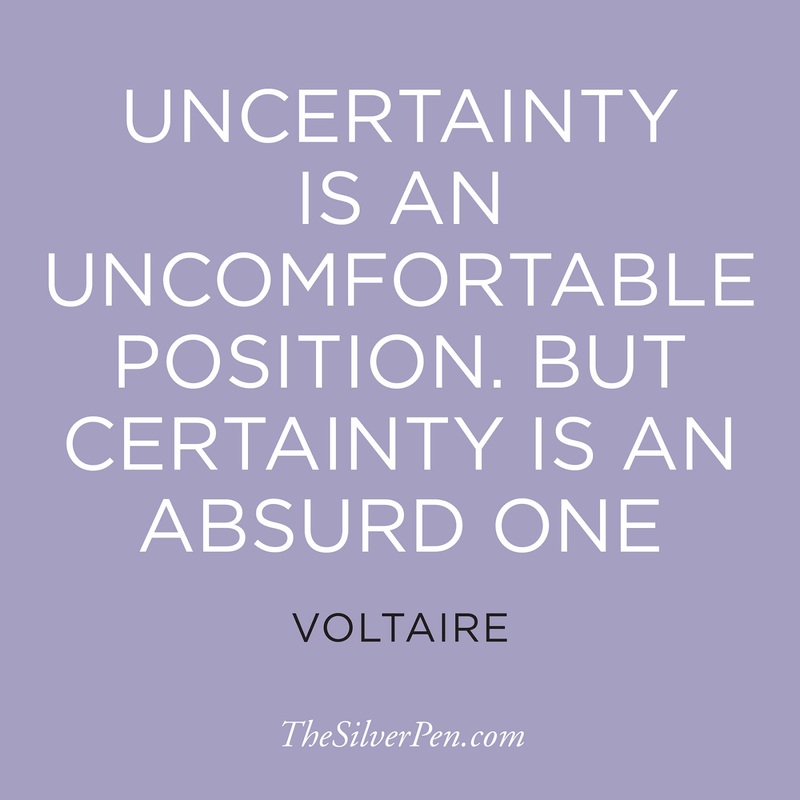 Uncertainty can be scary. But if you drop the fear, the same uncertainty becomes beautiful. This is the magical quality of Life. To experience this magic you must learn to live in the moment, soaking in whatever the moment has to offer, in a “not-knowing-what-will-happen” mode! Mourning or Celebrating: Our world is the same! 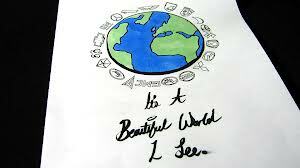 In the midst of all of our problems lies a very beautiful world. Simply, we don’t notice it! Yesterday I was on a flight. The hostess did a particularly bad job of the announcements. The food was cold. My ear was blocked thanks to an infection I have been carrying. And my thoughts wandered, at 30,000 feet, to the slew of problems we are faced with. I tried attempting solutions to some of them by making a diligent list of them on my little Post-it pad. My problem solving skills were particularly challenged because the nature of the problems were so nscrutable. After about 30 minutes of concentrating intensely on those problems, I was no more wiser or relieved than before! Suddenly I was forced to look up. Some activity across the aisle from my seat had drawn my attention. The import here is not to say that we should not face our problems or attempt solutions. There’s only a humble submission that in doing that, don’t get so consumed, that you stop to pause and celebrate the magic and beauty of and in the Universe! When you allow yourself to notice the world you see, without judging whether you are in a frame of mind to celebrate it, you will open yourself up to such a whole new world of opportunity and a beautiful new way of living __ intelligently! Author AVIS ViswanathanPosted on April 6, 2013 March 14, 2016 Categories Art of Living, Beautiful World, Beauty, Challenges, http://schemas.google.com/blogger/2008/kind#post, Inner Peace, Intelligent Living, Magic, Post-it, Problem Solving, Universe1 Comment on Mourning or Celebrating: Our world is the same! To get more out of Life, get out of Life’s way! Almost everyone wants more out of Life. But sometimes in Life, nothing seems to work! When nothing works, miracles will! Miracles happen not when you want them, but when you need them. Miracles don’t happen from your logic, they happen from the Universe’s magic. Not through rituals and mumbo-jumbo and god-men or god-women but from complete, total surrender to the Universe. They happen from letting go. They happen when you get out of Life’s way and allow Life to lead you the way! Someone I know told me his Life’s story a few years back. He had lost everything in Life. His most recent marriage too had ended in a divorce, with the court granting his wife much of his estate. His business had suffered owing to the protracted legal proceedings. His children from an earlier marriage too had staked claim to his estate. They too had got what was left through the court settlement. His partner of several years had schemed and finally forced him to sell out his stake in the business ‘as-is-where-is’. He had barely got a few months’ survival costs out of that deal. That too had run out and all he had was about 200 pounds with him one morning in March! He was staying with a friend. He woke up, left a note for his friend, who was still asleep, and took a cab to the nearest rent-a-car service centre in East London. He hired a car for two hours but paid for five with the money he had. He just had enough to buy himself a burger and a Starbucks Coffee. He started driving out of London. He told himself he would drive as far as the gas in his rented car took him. He would step out where the car stopped and find a way, then and there, to end his Life! “I didn’t see a point living anymore. Nobody loved me. I had no money. And I was old, 58! I thought what was the big idea in struggling with a Life I didn’t want,” recalled my friend. So, when his car sputtered to a stop on an incline, en route up a small hill, he stepped out and walked up to the hill top. He managed to get to edge of a precipice that lay waiting for him. It was easily a 50 feet drop to a hard, rocky, certain death, he thought, as he surveyed the ‘last mile’ or so of his Life! He looked up at the sky. And noticed it was dark and cloudy. He spent several minutes staring at the clouds __ and wondered if there really was any silver lining in any of them. He thought all that he had gained, lost, learned and unlearned in Life. He confessed his mistakes to himself. And, in a ‘subconscious act of benevolence’, he thanked the Universe for what had been a tumultuous but eventful Life. It was then that he realized it was raining. Not heavily. But just so. He started enjoying the rain and told himself that since this was the last rain he would ever feel, he might as well wait for it to stop and relish every moment of being drenched in it. He closed his eyes and focused on each rain drop that fell on him. There was a certain beauty and a rhythm with which they fell, he noticed. Soon, he thought he heard music from the falling rain. It was like a very soothing Jazz piece, from his favorite, Louis Armstrong. Soon the music ended. And he could feel the rain no more. He opened his eyes believing that it was time he jumped without any more ado. When he opened his eyes, there, in front of him, where only gloomy, dark clouds had loomed large less than an hour ago, he saw the most beautiful rainbow ever! “I thought it was a rainbow created only for me! And if the Universe was creating such a miracle for me, I realized I had no business taking my Life which too the Universe, creation, whatever, had ‘given’ me. 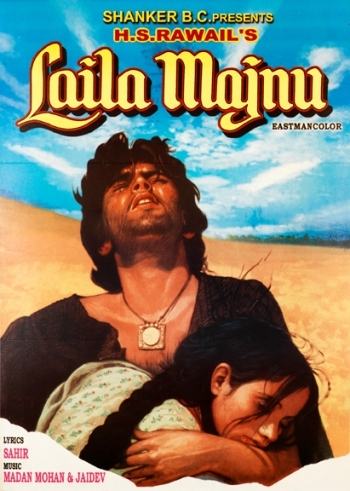 How could I take something which wasn’t even mine,” he recounted. He took a deep breath. He walked back to the road, hitched a ride. And decided to live a new Life! He has since rebuilt his business, mended his relationships with his children, and lives Life to the fullest. What would have been the end of a sob story, continues to inspire! When I heard him tell this story, my own Life was filled with darkness. His story gave me an opportunity to understand the magical quality of Life. I too, just like you perhaps, have come to such moments of complete hopelessness. Many, many times! I have learned, each time, that Life’s best when we don’t come in Life’s way! The truth is Life is playing a game with each of us. And since this Life has not been given to us because we asked for it, and since it is only a gift, we must not look a gift horse in the mouth. Our games and the rules are different__and unique to each of us. Metaphorically, each of us has been given a unique version of, let us say, ‘Angry Birds’. The rules vary and the levels of difficulty vary. It gets tougher as we start playing the game better. Every conquest of a new level is an ‘aha’ moment! Just as with a game, if you can’t crack a difficult level, flinging the phone or the iPad, in frustration, isn’t going to help, there’s no point absolutely getting angry with Life! Life has to be met, played with diligently and learned from daily. As you learn to play your Life’s game better, your level of difficulty may well increase, but as you let go and get out of Life’s way, you will see the beauty and magic in it! Getting in Life’s way is something that we all do all the time. Not that we succeed. But our vanity, our ego, wants us to solve the problems that Life has placed in front of us. This is when despondency and depression sets in. This is when you feel you can go on no more. This is precisely when you must learn to get out of Life’s way! That’s only when you will get more out of Life too! No matter what you are dealing with right now, learn to enjoy and feel the rain. Or if it isn’t raining yet, simply open your window and let some fresh air caress you. Hear the music of Life. Dwell in the beauty of that irreplaceable moment. Watch yourself coming alive. Witness a rainbow brighten up your Life. Your rainbow may well be a bird chirping, a dew drop falling or a child smiling on the bus. That moment of magic, that reaffirmation that Life’s beautiful, despite the circumstances you find yourself in, is your miracle! Here’s hoping you get out of Life’s way and get more out of it this Sunday! Author AVIS ViswanathanPosted on March 3, 2013 March 14, 2016 Categories Angry Birds, Art of Living, Ego, Get out, http://schemas.google.com/blogger/2008/kind#post, Inner Peace, Intelligent Living, iPad, Let Go, Magic, RainLeave a comment on To get more out of Life, get out of Life’s way!